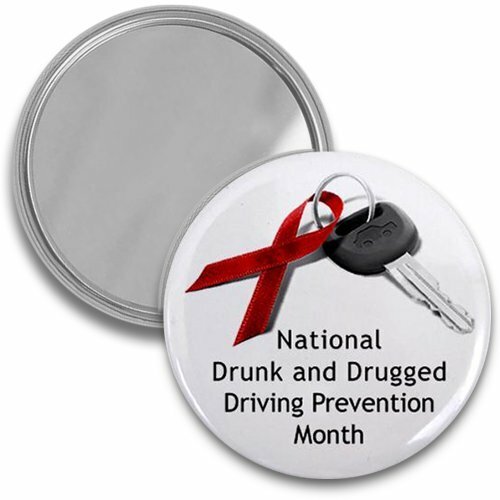 National Drunk & Drugged Driving Prevention Month, or National 3D Prevention Month, is an annual designation observed in December. If you’re home or traveling during the holidays, you may be planning to go to a few parties, get-togethers, or even just to have a few drinks with the family. If you have been drinking or are under the influence of drugs, do not operate a vehicle. 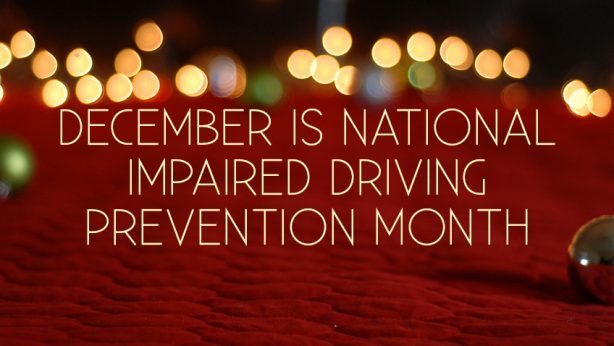 Remember, you are committing the crime of impaired driving whenever your ability to operate a vehicle is impaired by effects of illegal drugs, prescription medication, over-the-counter medication, or a blood-alcohol concentration of 0.08 grams per deciliter or higher. 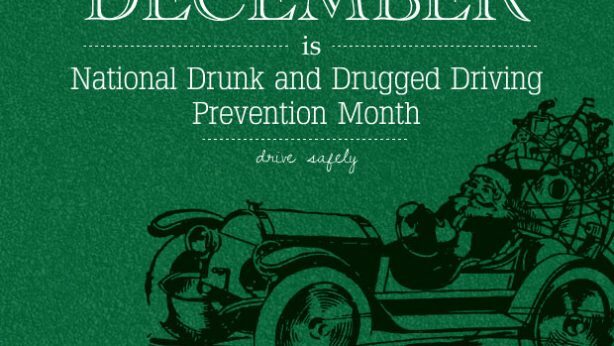 If you are taking part in activities like this month, or EVER, do not make the mistake of getting behind the wheel. It could cost you or someone else their life.